As many of you may be aware, last week we held our third Mental Health First Aid course at the Leicester Tigers Rugby Club, and yet again it was a great success! The aim of the course was to educate professionals and the public about the importance of recognizing Mental Health issues in the workplace and to equip them with the right skills and knowledge to act in those situations. Who did we have on the course? We had everyone from individuals who either themselves or know of someone close who was affected by mental health issues, right through to some larger organisations such as, Centrica (British Gas), Leicester University and TOPPS tiles. Mental health issues around the workplace are becoming a growing concern with people from all walks of life. Our workplace is where we spend a majority of our time, but sometimes personal experiences, deadlines or health issues can cause a negative impact on your wellbeing and performance at work. This is why we strongly believe in educating the public with the right knowledge and skills to be able to help and support each other in the working environment and have the confidence to guide people towards the right support. 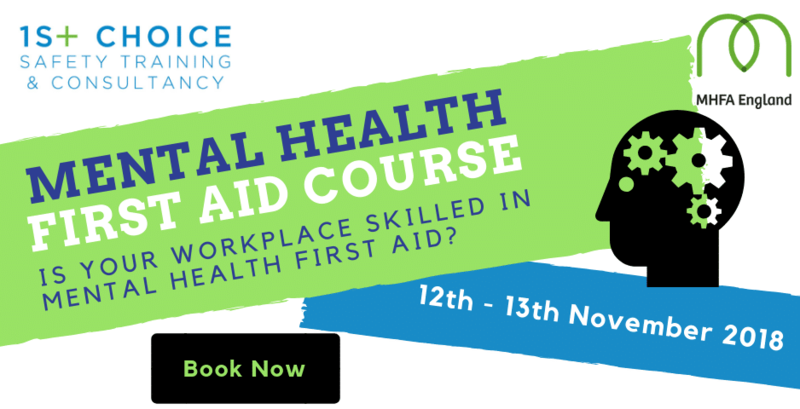 And don’t worry if you missed our last course dates, we have another mental health first aid training course on the 12th November, Leicester Tigers Rugby Club.